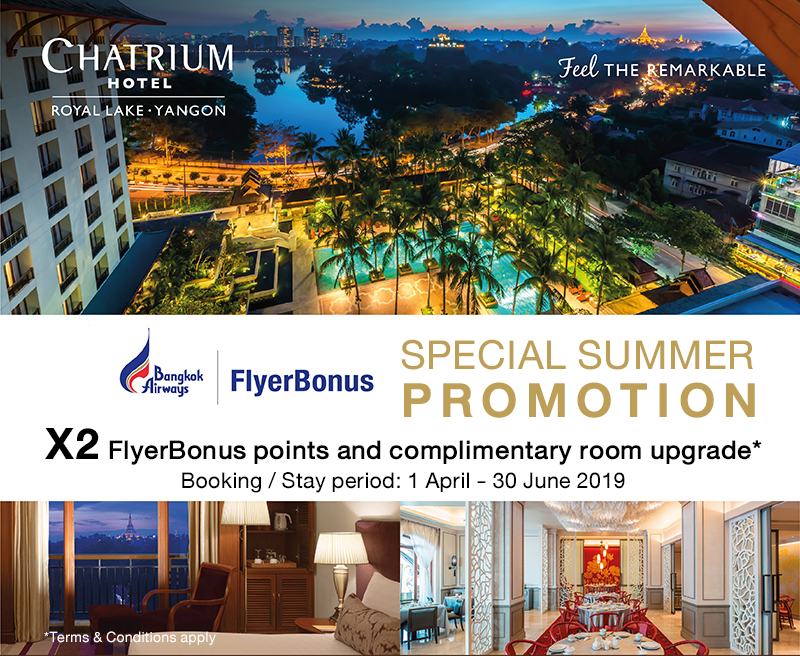 This offer only applies to qualifying FlyerBonus Members that have made an online reservation only via the Chatrium Hotel website www.chatrium.com/chatrium_hotel_yangon/default-en.html or email rsvn.chry@chatrium.com. Reservations must be made within the booking period ,1 April – 30 June 2019, and stays undertaken between 1 April – 30 June 2019. Taxes, fees, and surcharges are additional and may vary across hotel properties. Direct contact should be made with the hotel for further details.